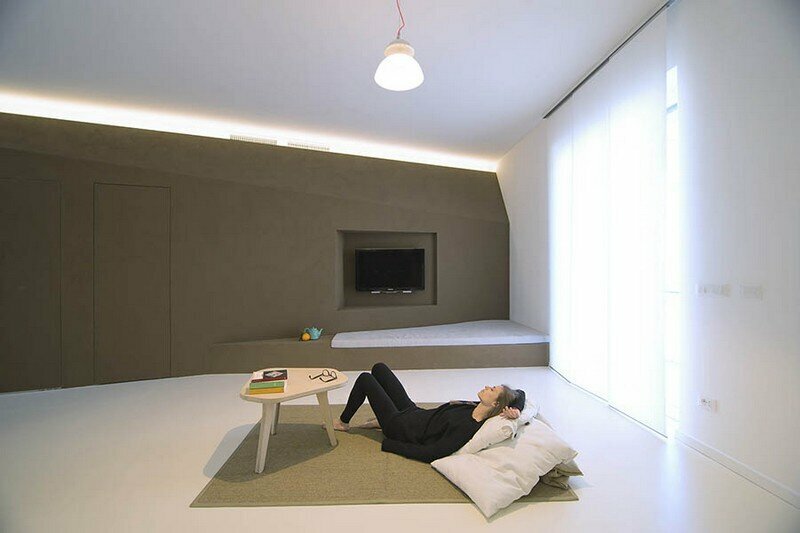 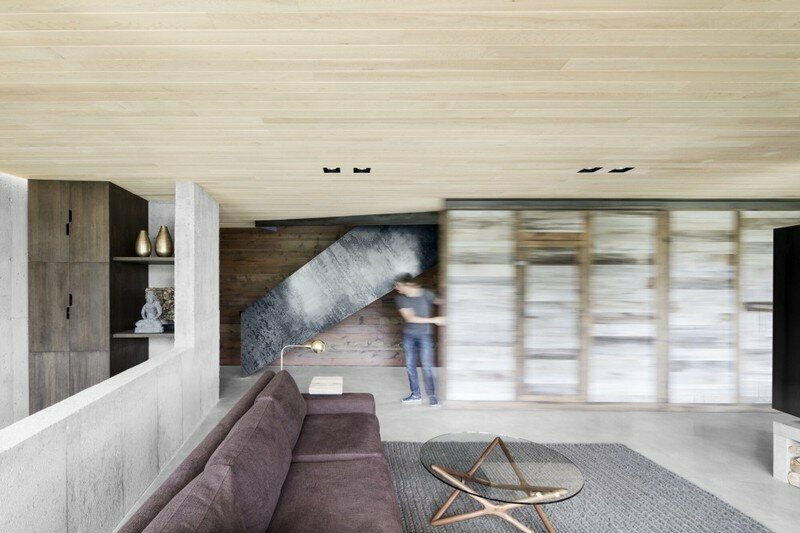 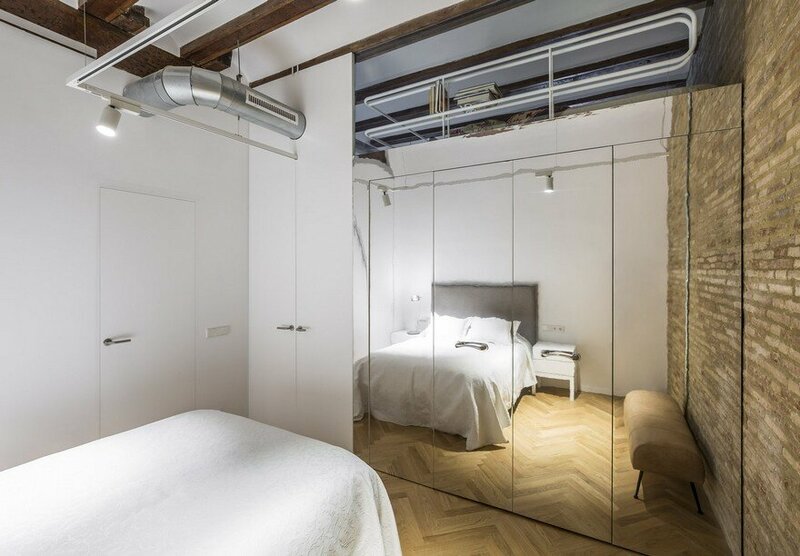 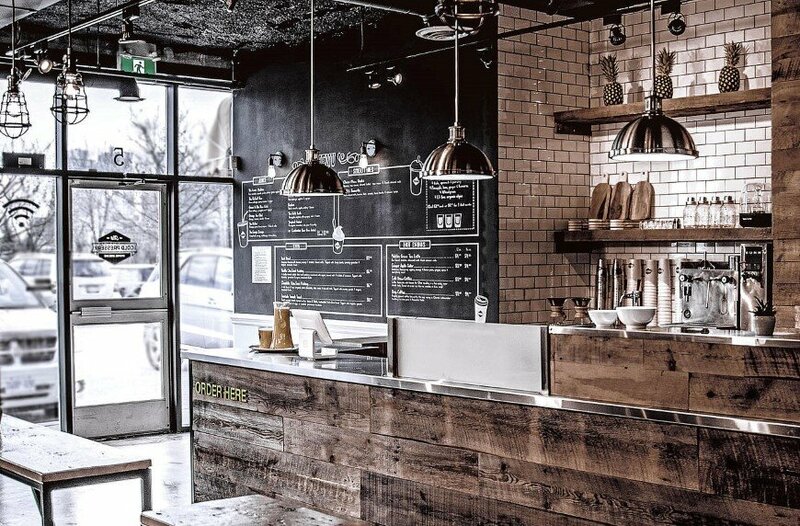 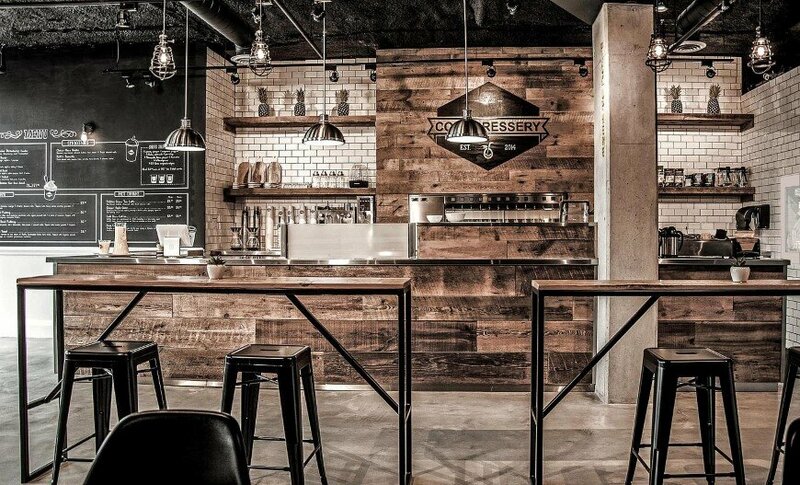 Toronto-based 1POINT0 Design Studio has designed the interiors The Cold Pressery, establishment based in the city of Mississauga, Ontario. 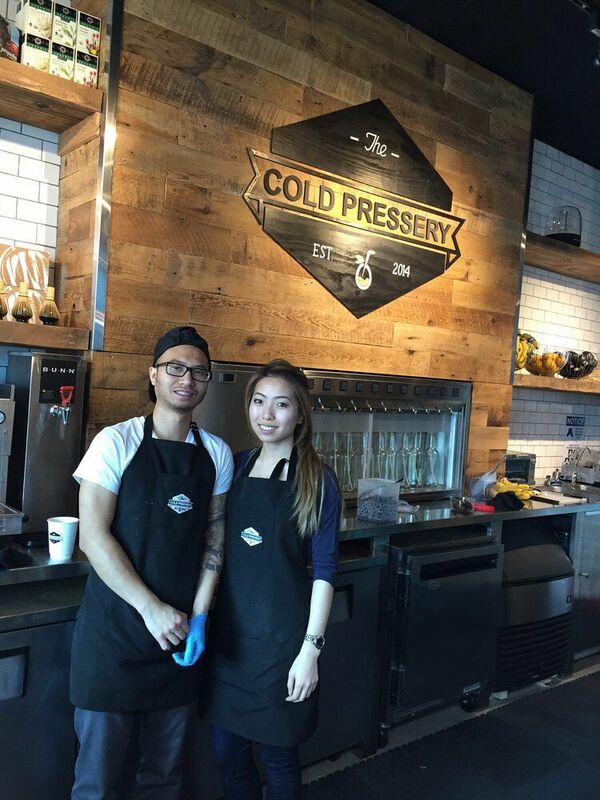 From the designer: A healthy lifestyle through juicing is the foundation of The Cold Pressery among other nutritious and gluten-free offerings. 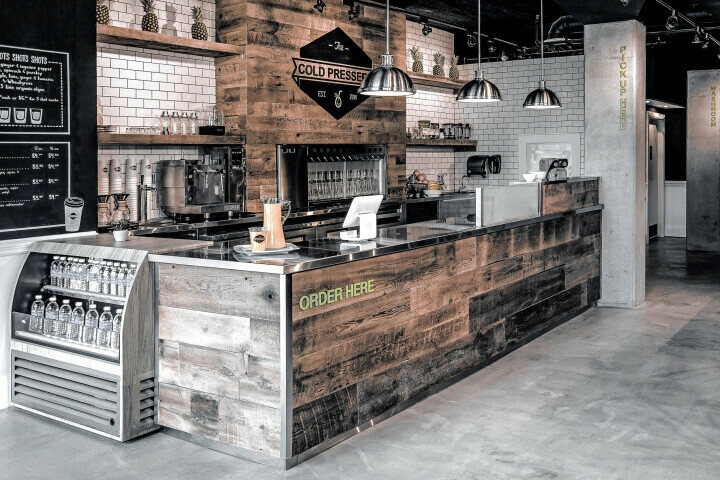 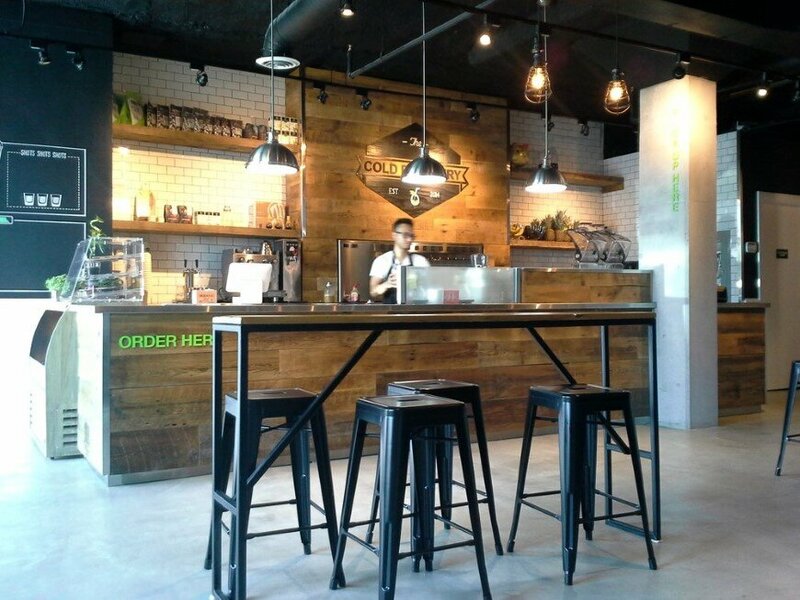 Situated in the ever-growing and developing city of Mississauga, The Cold Pressery is truly one of the first fresh organic cold pressed (raw) juice establishments to open within this city. 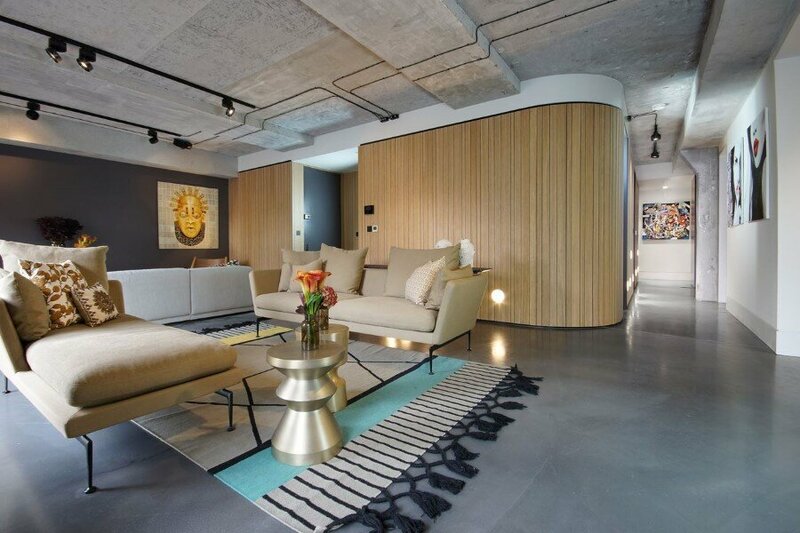 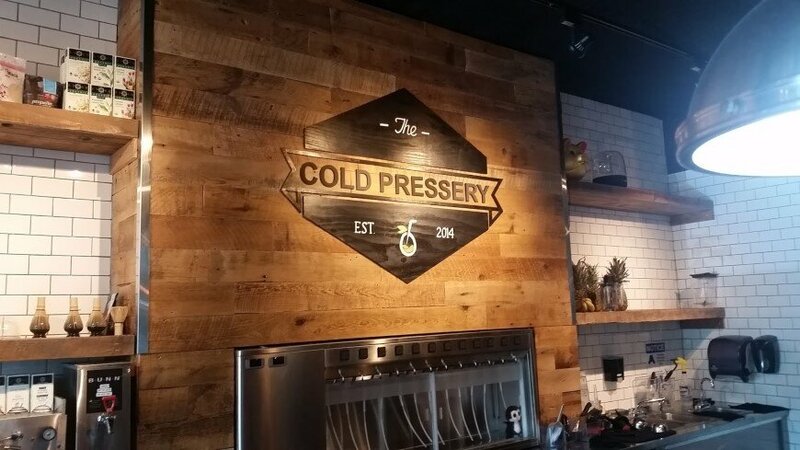 Enhancing the comfortable and inviting space, the owners of The Cold Pressery created and devised a feature wall of Mississauga’s cityscape which was drawn by hand over a two week period. 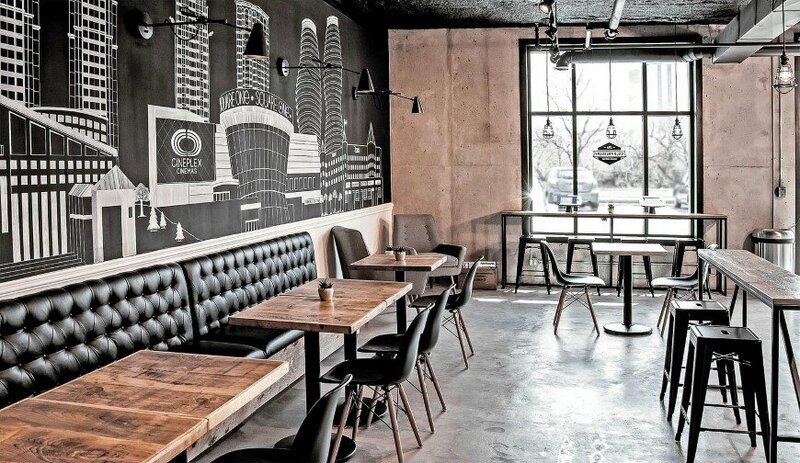 Technology was also considered as patrons can easily plug in their mobile devices throughout the space or make use of the provided tablets, situated at the window bar seating area.